I love fried items rather than machurian. 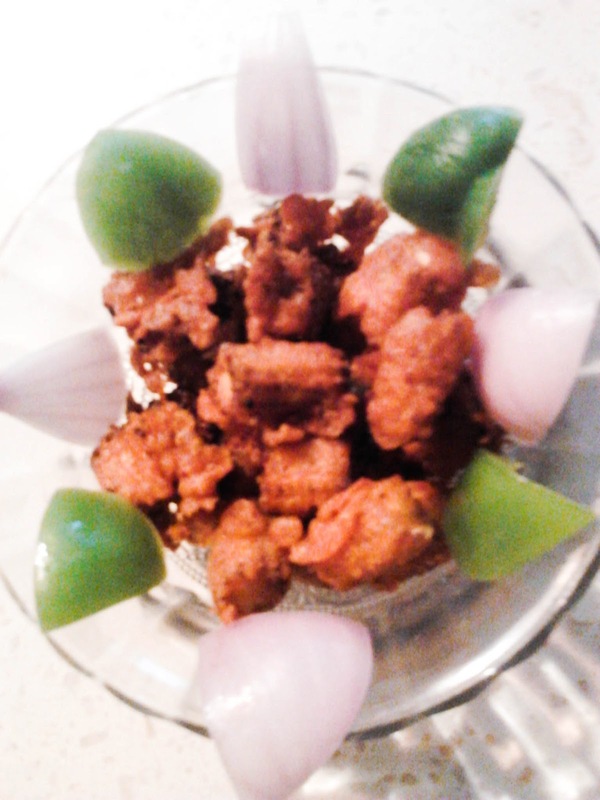 I still remember when my brother used to get gobi manchurian for him, he used to ask me what i would like to have. I always used to say gobi fry with onion pieces in it. I used to enjoy and savour the taste of each bite. Now, I am able to make it on my own and it only takes 10 minutes. Nothing can be so easy and as tasty as this. Try it and enjoy. NOTE : One can also try this with baby potatoes, mushroom, Cauliflower and any other vegetables of your wish instead of babycorn. Gives you almost the same taste. Cut the babycorn and soak it in a warm water with salt for 10-15 minutes. Make a batter by first taking Plain flour, Corn flour, salt, garlic ginger paste and red chilly powder. Mix it well now add water and make sure no lumps are formed. Take a pan with oil for frying and heat it. 4. Switch off the gas and have it along onions if needed. Adds taste while having it along onion sliced verticallly.